Jiangsu Province is located on the east coast of China on the Yellow Sea. The Capital City of Jiangsu is Nanjing, and it is also the biggest city in the province. This province has the most population of any China Province and has the highest income per person. Manufacturing of electronic equipment, textile and chemicals is the main revenue here; however there is a lot of agricultural business too. 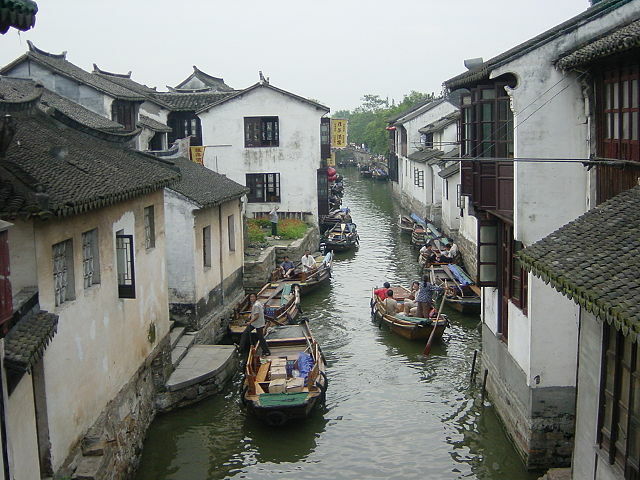 In the southern part of Jiangsu there is an area full of canals, often referred to as the, “Venice of the East”. There have been many manmade canals diverting rivers from their natural flows. The Grand Canal of China has sections there were built as far back as the 5th century BC. Summer is the monsoon season here. The Tombs of Southern Tang Emperor. Qixia Temple in Qixia Mountains. Grand Buddha at Ling Shan, Wuxi.